In 2015, our advisory board member, Maxine Williams, told us about the initiation of Hackathons for low opportunity young people, in which Facebook and other Silicone Valley organizations were participating. These companies teamed up with #Yes We Code to have one of the first hackathons directed to low income youth in New Orleans. 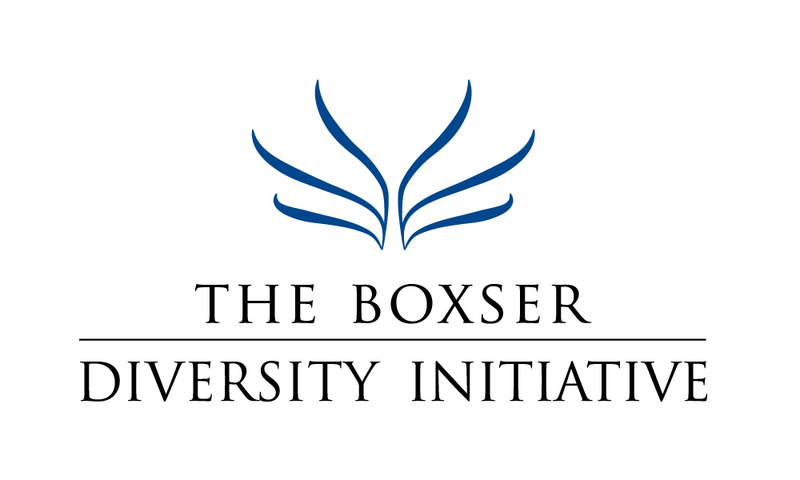 Our Diversity Initiative suggested we try to do a similar program in Sarasota. As a result of suggestions from another advisory board member, Chief Judge Charles Williams, we approached the Education Foundation of Sarasota to stage the event. 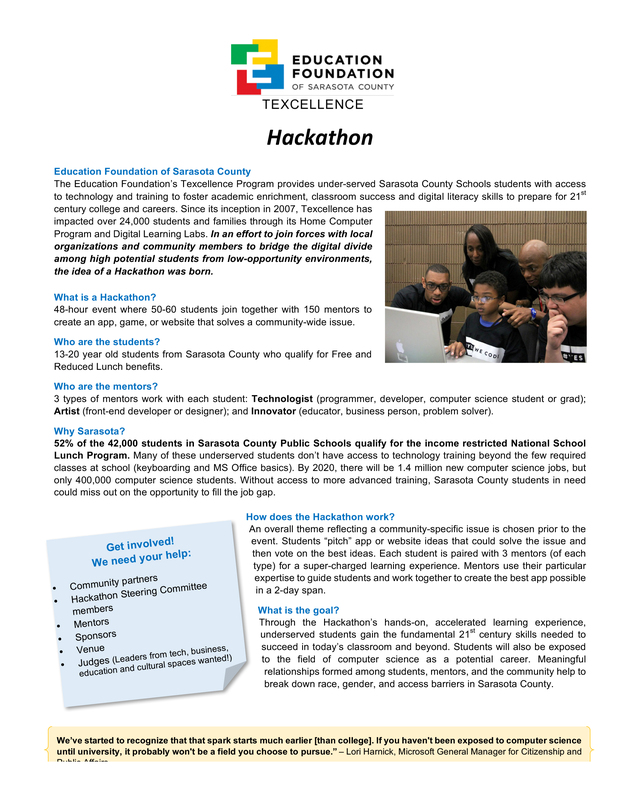 The Education Foundation runs a tech program for elementary and high school through their Texcellence program. 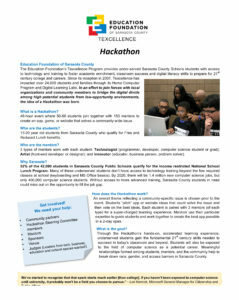 http://www.texcellence.org/ The Education Foundation enthusiastically agreed to help organize the Hackathon. 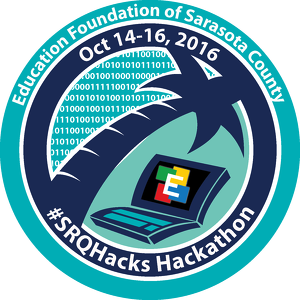 As a result, the first Hackathon for low income students will take place the weekend of 13th October 2016 at New College’s Sudakoff Hall. We also met with Donal O’Shea from New College as well as Larry Thompson, president of the Ringling School of Arts, and Dr. Rachel Shelley, principal of Booker High School to get their cooperation. All were very supportive.